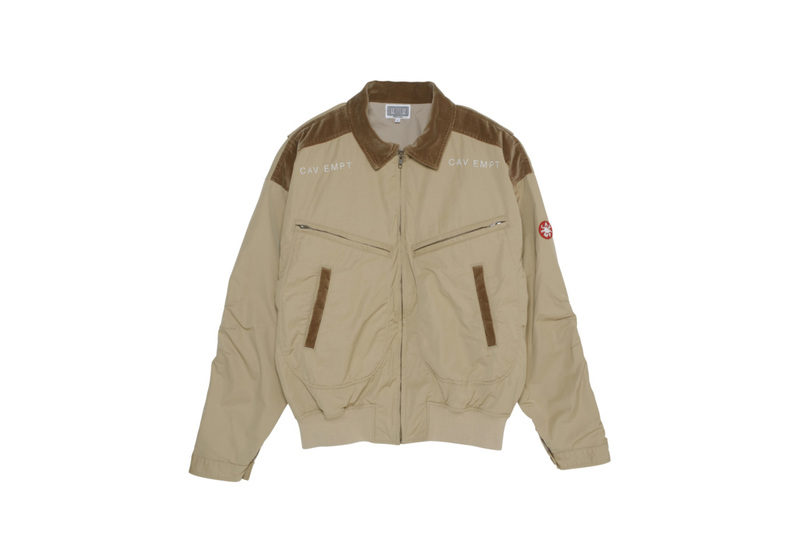 Continuing with its Spring/Summer 2019 collection drops, Japanese cult-brand Cav Empt has just released the fourth installment of its latest range. Staying true to their iconic brand image that has cult fans craving their iconic graphic designs and evocative usage of fabrics, Sk8thing and Toby Feltwell have delivered an array of offerings from outerwear, sweatshirts and knits in the latest drop. The fourth drop includes a brown-hued Disegno Zip Jacket, a green-based Carrier Pullover Zip Jacket donning a graphic patch on the rear, Ziggurat Patch Heavy Heavy, CoBrA Zip Jacket, a grey-scaled Grid Loose Waffle Knit and arguably the most hyped of the collection – the C0000005 Crew Neck which employs a hefty graphic on the rear. As always, the duo hasn’t forgotten accessories, providing a new iteration of the Array Shoulder Bag and two new hats. Check out the fourth drop above, and if you’re interested in picking up a piece or two, head over to Cav Empt’s web store where they are currently available. You can also expect the range to hit global stockists in the coming weeks. In case you missed it, here’s KOZABURO’s Fall/Winter 2019 lookbook. His debut EP drops in March.